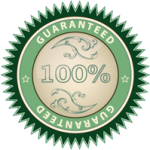 Greenwired is Humboldt County's premier renewable energy company offering sales, design, installation, and service of renewable energy systems. Located in Redway, CA, Greenwired was founded in 2006 by life-long Humboldt County resident Daniel Tittmann, who was joined by his brother Matty, and their long time friend Noah Battles. Noah and the Brothers Tittmann have carefully built a solid team of experienced individuals dedicated to promoting renewable energy while supporting our customers. From our humble beginnings, Greenwired has grown into a nationally recognized leader in renewable energy products and services. We offer sales and design consultation for the "do-it-yourself-er" as well as contractors and installers. For those who prefer "done for you" our skilled installers can design and build a system tailor-made to fit your needs. With a trained staff who live and work with renewable energy every day, we pride ourselves on knowledgeable service for all of our clients as we find the products that will work for you. With offices and contractors licensed in northern California and New Mexico, the Greenwired staff is leading the way to the renewable energy future we all dream of. Don't let just anyone set you up with solar, go to the place where it is done right the first time. 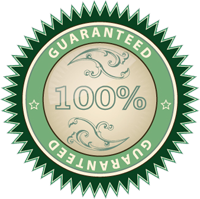 All systems built by Greenwired are 100% guaranteed. Don't let just anyone set you up with solar, go to the place where it's done right the first time. Founder of Greenwired and current CTO, Daniel grew up off the grid in the hills of Humboldt County. Since then Daniel has been studying, living and working with solar electricity, solar hot water, micro hydro, and wind power, to name a few. With a Bachelors of Science from UC Santa Cruz, Daniel has been Licensed, Bonded and Insured as a California solar contractor since 2006. In 2015 he became a licensed New Mexico contractor as well. Greenwired's CEO, a life long Humboldt County resident who has worked in the renewable energy sales market since 2006, gaining a mastery of product application and system design while working for Appropriate Power as regional manager. Noah has a Bachelors of Arts from Humboldt State University and currently is head of operations and installation at Greenwired. Greenwired's CFO. Another life long Humboldt County resident who grew up with alternative energy systems in his home. After obtaining a BA from UC Berkeley, Matty honed his skills in the trades, working first as a site manager for Arco Iris Woodworking, then on his own as the owner and operator of Genus Loci Designs. In 2007 Matty started working as an installer with Greenwired, and has worked to grow and build the business. Outside his role as chief financial officer he is also head of sales and marketing. Genevieve started her career in renewable energy at AEE solar in 2004, moving from secretary up through sales and support. In 2007 Genevieve began working for Appropriate Power as store manager. In the spring of 2010 she became office manager for Greenwired. Genevieve is a key component to Greenwired and we are happy to have her with us. An up and coming local star in the off grid renewable energy field. Starting his career in 2008 at AEE Solar, Andrew has been developing his mastery of the industry. From Project Design and Sales through Purchasing and Delivery, Andrew puts a face to the service offered at Greenwired. Joining Greenwired in 2015 with years of experience in the solar industry, Jamie has been a great addition to the sales, design, and project management team. With his attention to detail and calm and collected personality Jamie is a pleasure to work with. Kye has a degree in energy management, and is a certified energy auditor. This previous work gave him experience in general residential electrical and audio video installation. Kye has been a member of the Greenwired team since 2013. Kye is the guy who keeps the wheels greased at Greenwired. A life ling Humboldt resident with a degree in Renewable Energy from the Maritime Academy, the rest of the team at Greenwired is happy that Dave joined us to share his technical skills and hands-on know-how with the store and warehouse at Greenwired. With a background in construction and project management, Alex started working with Greenwired as an installer in 2010, working his way up through the ranks to become a lead installer in 2013. Heidi joined the team fall of 2014. Born and raised in Humboldt, she has been providing bookkeeping and support services to local businesses for over 12 years, and is proud to be a part of the Renewable Energy community. Coming from a background in the service industry, Bris has become an integral part of the bookkeeping and accounting department, recently branching out to run social media marketing. Dedicated to the team and willing to take on the nitty gritty details, then showing her talents in the social media world, Bris is a go getter' and a great part of the team.